The RainyDayInterns, like many folks, have Craigslist search alerts to notify them when items of interest pop up for sale. An alert for a telescope crossed their screens yesterday with a listed price that they were certain it had a zero missing. 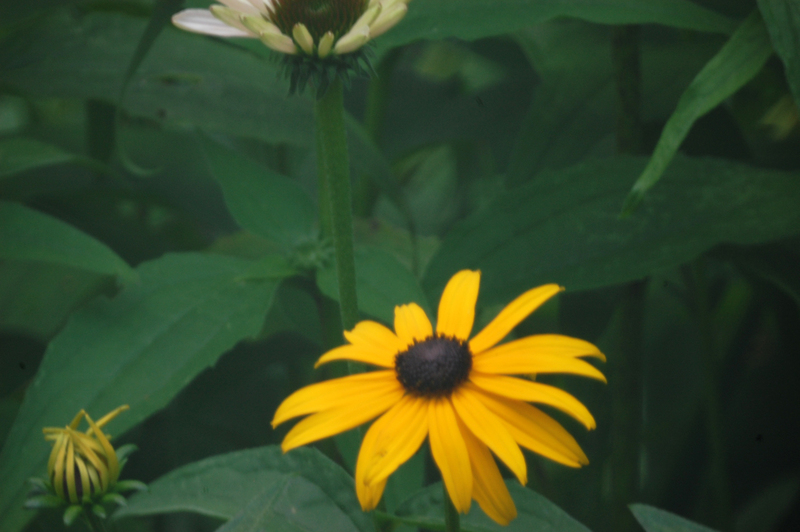 When they confirmed that the price was “as listed,” they sprang into action! The interns ran downstairs, woke up one of the editors from her nap, and got her to drive them to Brighton to pick it up. She was too groggy to refuse or ask any questions (I’m going to have to remember that!). Anyway, an hour later, they were back in the office Googling to figure out what exactly they had bought with their lunch money. 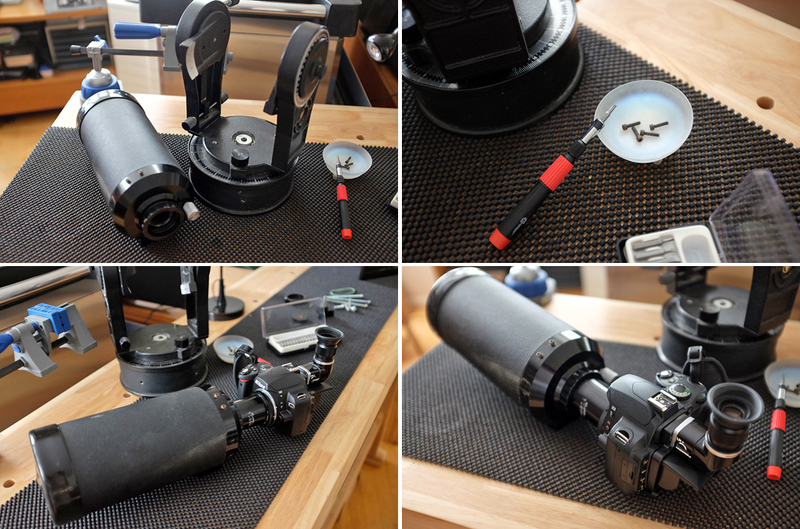 As it turns out, the telescope is a 4″ Bausch & Lomb Criterion 4000 SCT with a few pieces missing. OK, a lot of pieces missing. However, the “package” did include a Meade equatorial wedge! 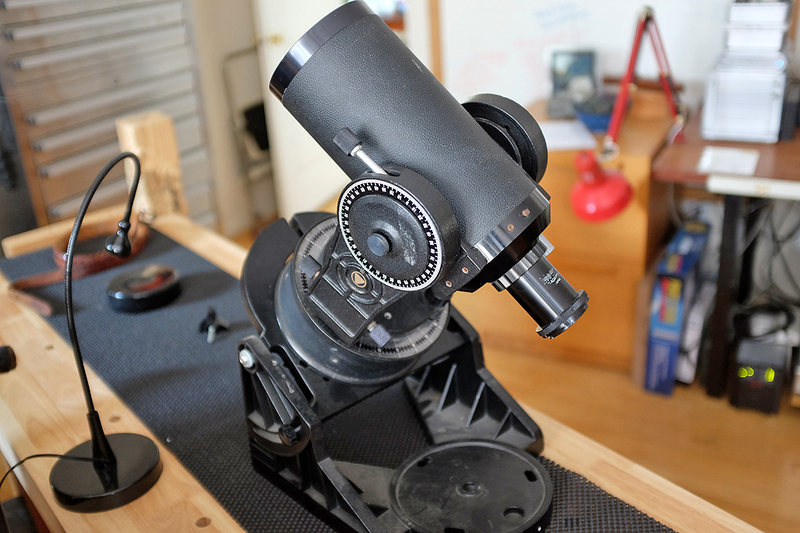 Unlike today’s scopes, this one was made before plastic parts became the norm. 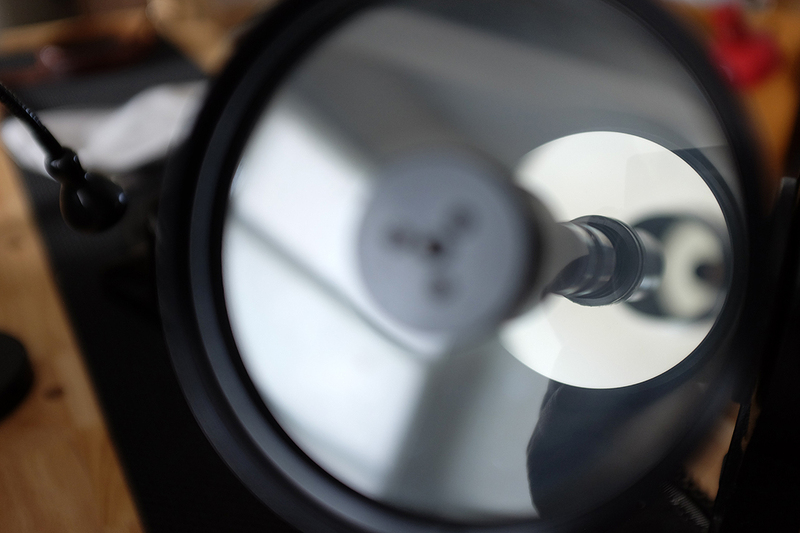 The telescope is made from aluminum and stainless steel parts. All the knobs are machined, knurled, and attached using machine screws. 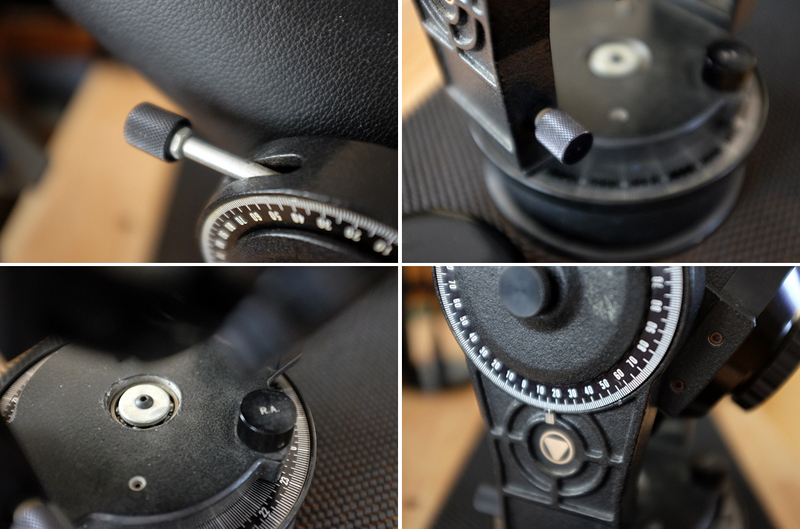 One of the reasons this thing was so inexpensive is that a fairly critical part is missing: the piece that connects the telescope to the eyepiece, called the “visual back.” Without that piece, the scope is basically a paper weight…or is it? While not much use as a telescope without the visual back (with, for this particular make, is a proprietary Baush & Lomb item that is incredibly hard to find nowadays, and if you do is incredibly expensive), by taking the optical tube off the mount and installing the proper adapters, we could connect a DSLR body to the OTA! Fortunately, we have a reasonably good collection of adapters on hand. A bit of “swapping this to go with that” and soon we were in business. 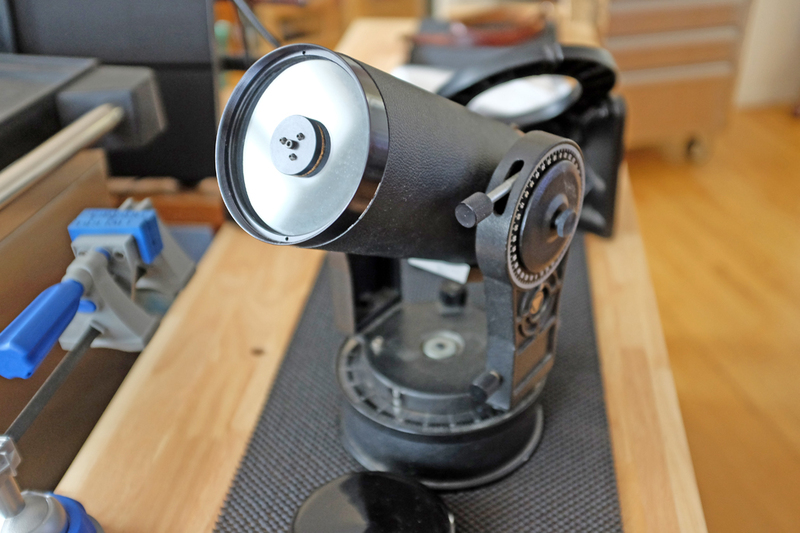 We think the designers of the B&L scope intended the OTA to be easily taken off the mount. We say this because the mounting screws were easy to access AND there was a built-in tripod mount already on the tube. Of course, that big question is “will this thing shoot?” We pointed the setup out the 2nd story window and took a few photos to answer that. 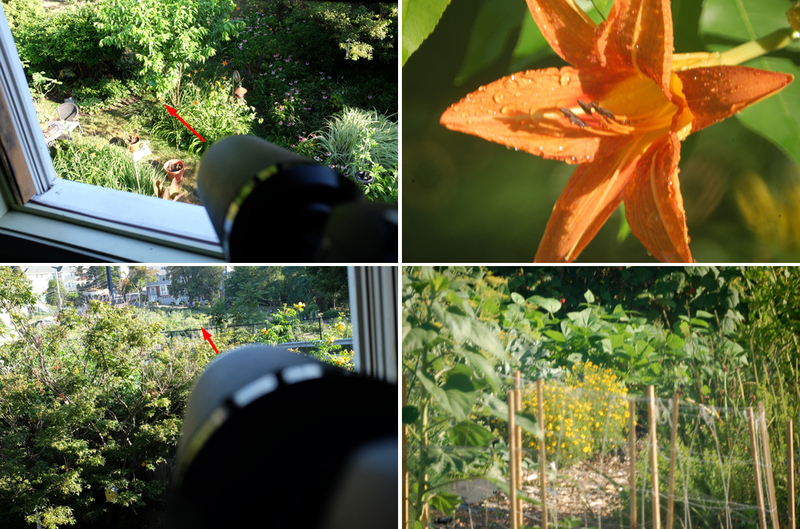 Here are a few of the shots taken along with the vantage points so readers can get a sense of the distance to the subject. The catadioptric mirror lens is A LOT lighter than a comparable glass lens. Tripod is required as it is not possible to handhold it and get a steady shot. Proper/fine focusing is a challenge as the control with the small knob on the lens. Still, not bad for something purchased with what amounted to lunch money!!! I found one of these lenses recently, and I am looking to work with it. 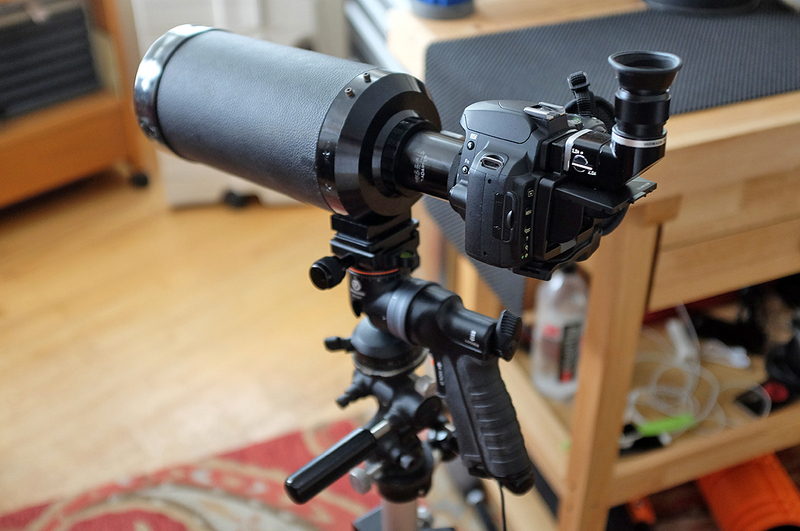 Since I am not very well versed in camera fittings, can you provide the details on the specific Meade adapter you used to couple the lens to the SLR?